The fourth and final race in the SLOW Multisport Mountain Bike Score series takes place on the South Downs Box Hill, near Cocking, on Sunday 25th October 2015. The race centre will be The Bluebell Inn, Bell Lane, Cocking. NOTE: As the series finale, we will be awarding the series prizes to the top male and female racers based on their top 3 of 4 scores. Series rankings so far can be found here. We hope you can stay after the event and celebrate with us our successful first season. This is a public race – all are welcome. All entries are on the day but we encourage you to please RSVP to the event via Facebook (link to follow) or email to let us know you are coming so that the correct number of maps are printed. The race will be based at the The Bluebell Inn, Bell Lane, Cocking GU29 0HU. Toilets, hot drinks, water and food are available from the pub, but please leave any muddy shoes at the door! From the M25 take the A3 to Godalming , then the A286 south to Cocking. The entry fee is £8 for day riders, £7 for BMBO (with their membership cards) and SLOW members, and £6 for under 21s. 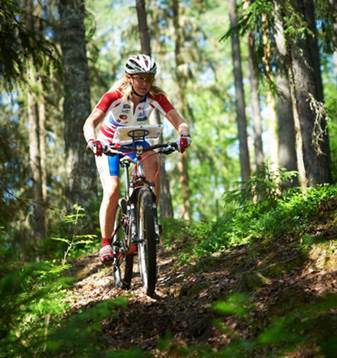 The race will be run under British Mountain Bike Orienteering rules, which competitors are advised to read in advance. BMBO also has some helpful MTB Score tips. As this is the series finale there will be series prizes awarded at the end for the top male/female scores, based on the best 3 results of the 4 races over the course of the year. Courses will close at 13:00. Maps will be 1:25,000 Ordnance Survey maps. The event will use Sport Ident electronic punching at all controls, and a limited number of SI dibbers will be available. Please bring your own if you have one. For those interested in having a go but lacking wheels, Posh Pedalers offer rental bikes from their shop in Midhurst – call 01730 810889 to avoid disappointment! Photo of Nicki Adams by Open Adventures. The third race in the SLOW Multisport Mountain Bike Score series takes place around Chilworth, near Guildford, on Sunday 09 August 2015. The race will be based at The Percy Arms, 75 Dorking Road, Chilworth, GU4 8NP. Toilets, hot drinks, water and food are available from the pub, but please leave any muddy shoes at the door! There is parking in the pub car park for those staying for food/drink afterwards; those not staying should park on the road outside so that the car park is kept clear for lunch customers. By car, Chilworth can be most easily approached from the A25 to the East , the A281 to the West or Guildford to the North. By train, Chilworth Station is almost immediately next to the event base and is just one stop from the fast Guildford line. There will be series prizes for top male/female/pair scores, based on the best 3 results of the 4 races over the course of the year. For those interested in having a go but lacking wheels, Pedal & Spoke offer rental bikes from their shop in Peaslake – reserve early to avoid disappointment! The second race in the SLOW Multisport Mountain Bike Score series takes place around Box Hill, near Dorking, on Sunday 12 April 2015. The race centre will be The Stepping Stones on Westhumble Street, Dorking. The race will be based at the The Stepping Stones on Westhumble Street, Dorking RH5 6BS. Toilets, hot drinks, water and food are available from the pub, but please leave any muddy shoes at the door! Drivers are requested to use the Burford Bridge car park (just off the A24 roundabout) and approach the event base via the foot tunnel. The pub car park is not to be used for race parking and we ask that you please be respectful of local residents and avoid using the narrow local streets. Note that the Burford Bridge car park is pay & display. A small kit drop area will be available at the pub and you may wish to consider bringing a bike lock. Those staying for food are welcome to move their cars to the pub car park after the event. Maps will be 1:50,000 Ordnance Survey maps, although 1:25,000 may be available for novices/juniors if requested in advance. The event will use Sport Ident electronic punching at all controls, and a limited number of SI dibbers will be available. Please bring your own if you have one. For those interested in having a go but lacking wheels, Pilgrim Cycles are pleased to offer rental bikes from their shop at Boxhill Station – reserve early to avoid disappointment! 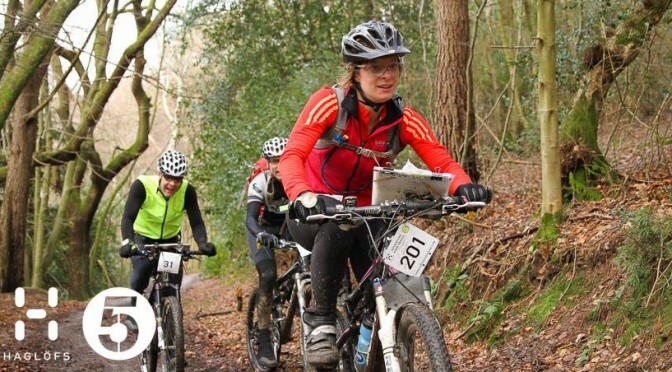 The first race in the joint SLOW and L&SEAR 2015 Mountain Bike Orienteering series takes place around Arborfield, near Reading, on Sunday 18 January 2015. The race centre will be The Bramshill Hunt on Bramshill Close, Arborfield. EVENT UPDATE 7/1/15: For those interested in having a go but lacking wheels, mountain bikes are available for rent from friendly local bike shop Mountain Trax. Give them a call on 0118 976 1130. This is a public race – all are welcome. All entries are on the day but we encourage you to please RSVP to the event via Facebook (link above) or email to let us know you are coming so that the correct number of maps are printed. The race will be based at the The Bramshill Hunt at 27 Bramshill Close, Arborfield. Toilets, water and food are available from the pub, but please leave any muddy shoes at the door! From the M4 J10, head north on the A329(M) then follow B3270, B3030 & A327. From the M3 J4a, follow the A327, A30 and A327. By train, Wokingham train station is a 20min cycle ride from the event centre. Parking is available on the street next to the event pub. Please be respectful of local residents and avoid blocking any access points. Maps will be 1:50,000 Ordnance Survey maps, although 1:25,000 will be available for novices/juniors if requested in advance. The event will use Sport Ident electronic punching at all controls, and a limited number of SI dibbers will be available. Please bring your own if you have one. MTB-Score is a new series of four events for 2015. Held on Sunday mornings in January, April, July and October, these are 2-hour score orienteering events on bike. These events are run by London & Southeast Adventure Racers in affiliation with SLOW. SPECIAL ANNOUNCEMENT: As a series finale, we will be holding a NIGHT MTB event on December 5th, see below for more details. Events take place on Sunday mornings in January, April, July and October. Start times are from 10:00 to 11:00 and the course closes at 13:00.